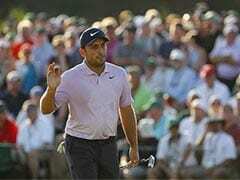 Chaska (United States): Moving closer to their first Ryder Cup victory since 2008, the United States captured Saturday's three final four-ball matches to seize a 9 1/2 - 6 1/2 edge over Europe. Heckling crowds that Europe star Rory McIlroy says have gone over the top with insults at Hazeltine were delighted as the Americans put themselves in prime position to snap a three-edition losing streak in the biennial team golf showdown. "We always get criticized -- we don't bond as a team, we don't have enough passion -- and this time we've taken it personally," US captain Davis Love said. "We're in a good position. I'm very elated." 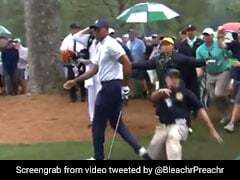 Personally is how McIlroy, who won in four-balls and alternate shot matches Saturday with Belgian partner Thomas Pieters, has taken spectators' taunts. "I think there have been some boundaries overstepped out there," McIlroy said. "I let it get to me a couple times when I shouldn't have. You're going to let it get to you when emotions are running this high." Third-ranked McIlroy was screaming and fist pumping all day, spurred on by the crude remarks. "It fueled me a lot," McIlroy said. "The more they shouted at us the better we played. I hope they shout at us all day tomorrow." Patrick Reed and Phil Mickelson made clutch putts over the final holes to secure two vital US points while 10-time Cup starter Lee Westwood, a captain's choice, botched a two-foot putt to cost Europe half a point. 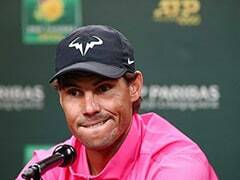 As a result, the US team needs only five points from Sunday's 12 concluding singles matches to reclaim the Cup while Europe must take 7 1/2 points to keep the trophy. "Disappointed. 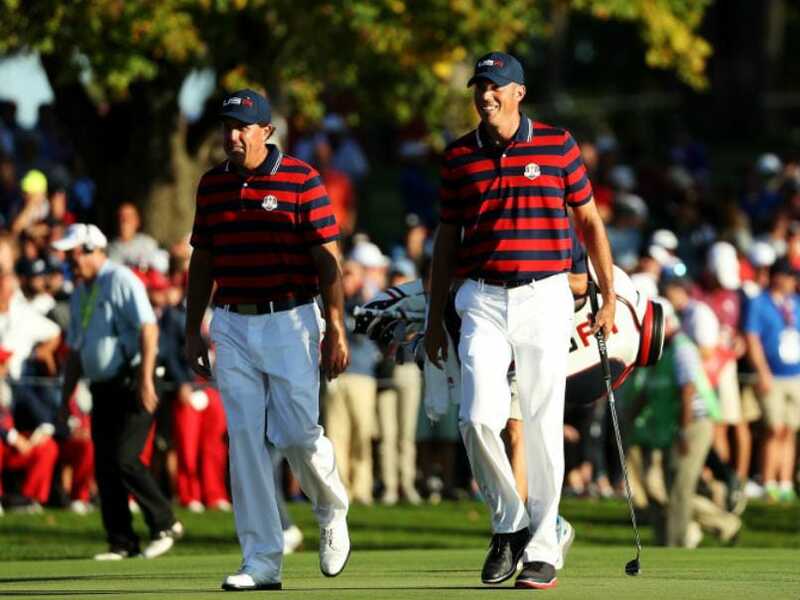 We had a few chances but the American guys played very good," Europe captain Darren Clarke said. "We are going to have to work hard tomorrow." McIlroy and Reed will meet in Sunday's singles opener with other matchups including Jordan Spieth against British Open champion Henrik Stenson of Sweden, Olympic champion Justin Rose of England against Rickie Fowler and five-time major winner Phil Mickelson against Sergio Garcia. 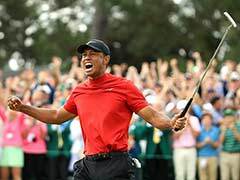 It would take Europe's second-biggest rally to keep the Cup, having trailed 10-6 in 2012 before a Love-guided US squad was shocked in the "Miracle at Medinah." "It has been done before from a worse position than what we have," Clarke said. "We have a chance. The guys are capable of doing it. There is a precedent." Since 1979, when the Cup expanded beyond a British-Irish team, teams ahead by three points or more entering singles have won seven of nine times. "I'm excited but a 3-point lead can be gone in the first three matches," US star Jordan Spieth said. "We need to come out and play aggressive, like we are two points down." Reed and Spieth, who lost four of the last six holes to halve a morning foursomes match, beat Olympic champion Justin Rose of England and British Open champion Henrik Stenson of Sweden 2 and 1 in four-ball. Reed won four holes in a row starting at the fifth with three birdies and an eagle at the par-5 sixth, lifting the Americans 3-up, then silenced a rally with birdied to win the 14th and 15th holes and restore the 3-up edge. "I was made for this kind of stuff," Reed said. "Any time I can get in front of the crowd and especially the Americans and have the red, white and blue on, it just fuels me." Spieth and Reed lead the US team at 2-1 with one halved while McIlroy and Pieters pace Europe as a partnership at 3-0. "I know he has that in him. He's Captain America for us," Spieth said of Reed. "He's as good as anybody on the big stage." Spieth and Reed, 4-1-2 overall, matched the all-time US pairs points record of five set by Arnold Palmer, the six-time Cup winner who died last Sunday at age 87, and Gardner Dickinson. McIlroy, last week's PGA Tour Championship winner, and Pieters beat Phil Mickelson and Rickie Fowler 4 and 2 in foursomes and beat US Open champion Dustin Johnson and Brooks Koepka 3 and 1 in four-balls. "You might see this in Paris," McIlroy said, looking ahead to the 2018 Ryder Cup. Pieters will be the first Europe rookie to play five matches since 1999 and a win over J.B. Holmes would give him four points, the most ever by a Europe rookie and the top rookie total since Larry Nelson's five in 1979. Holmes and Ryan Moore beat Masters champion Danny Willett and English compatriot Westwood 1-up after Westwood missed a two-footer at 18 to halve the match. Mickelson and Matt Kuchar downed Spain's Sergio Garcia and Germany's Martin Kaymer 2 and 1.